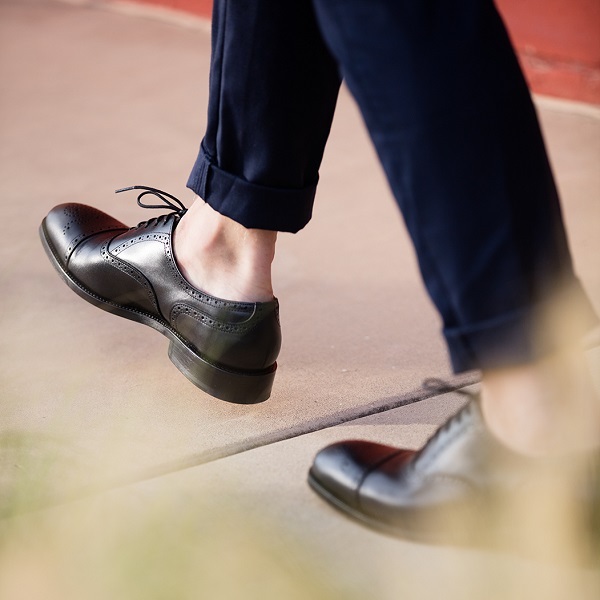 A classic pair of Oxfords is the workhorse of a well-heeled man. These elegant Jermyns are fashioned from rich, supple box calf leather. Stylish broguing ornates the cap toe, run through the quarter panel, and wrap around the heel. Five eyelets, as per British tradition.